This book is a little gem that while designed for individual devotions could easily be adapted by those with children as the basis for family Advent devotions. 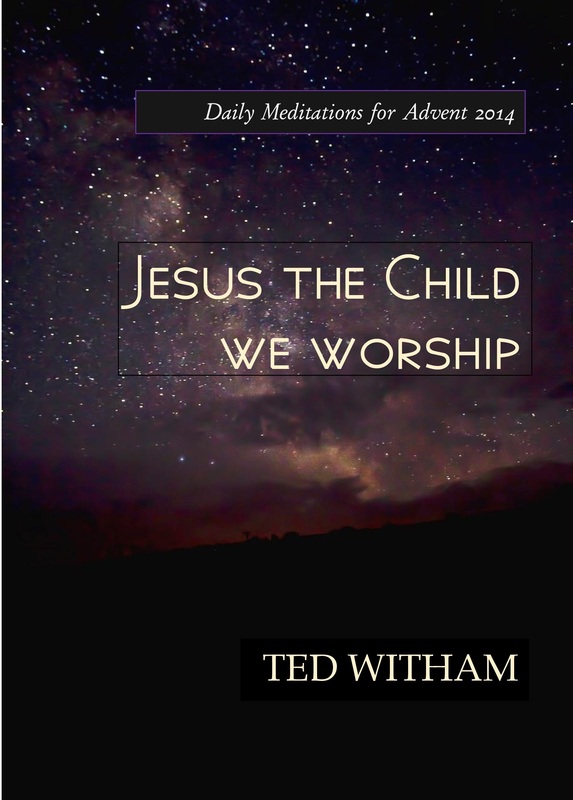 In these meditations Ted Witham tssf creatively links the daily lectionary readings with ordinary events of daily life and also some of the major issues that confront us in the 21st Century world. We benefit from Ted’s Biblical scholarship as he provides historical and cultural insights into the daily readings and helps us make connections with our own experience. The linking of the readings with the nitty gritty of our lives is incarnational theology at its best. Just as significant, perhaps even more so, is the way that Ted encourages us to use a variety of media: music, art, clay, writing, play, to get in touch with our inner child with all of our senses. “With all of me,” as Anna of Mister God, This is Anna would say. Ted speaks not only yo our own inner child but also to the inner Christ-child, the Christ within. Through the daily invitation in response to the meditations, “Let us play”, the author invites us to allow this unique Child to lead us out of ourselves into a larger reality. The wisdom and creativity of this little book reflect the author’s ministerial experience in Christian Education, nurture and formation over many years. Jesus the Child we Worship will help those who use it to arrive at Christmas ready to celebrate with faith and hope and love enhanced. I commend it warmly. Available through St John’s Books, Fremantle and from the author.